This is a book that I thoroughly enjoyed. The description of the neighborhood and characters were so real it is easy to picture the scenes as they are playing out. The plot is one that could be related to true life events. This is an extremely well-written novel which will tug at the conscience of readers as it takes a hard look at the environmental damage of poorly dispose chemical waste. While reading I couldn’t help but think of the water problems that are affecting Flint, Michigan now. I like how the author set up the plot that parallels to a normal day’s setting; the characters going about their daily routine set the events in motion and helped the events play out as a movie script. The fear of bad weather and how the news casters were broadcasting the threat of bad weather was played out with details that made the threat seem real. The suspense and circumstances of the storm was enjoyable and had me on the edge of my seat and not wanting to put the book down. I like the quick scene changes because it made the book move even faster and I didn’t have to wait long to catch the events for the characters next few moments. 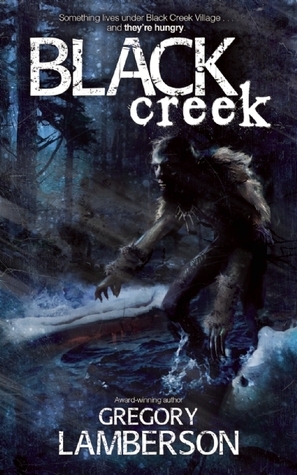 The author’s grim and brooding novel explores the lives of the people of Niagara Falls during a storm as creatures use this time to hunt prey. The characters were true to life. They were funny and the setting for them is real. Poor Paul Goodman, he was the father of the neighborhood being set out to help and look out for all in the neighborhood. A few times I felt sorry for him and if something did happen to him how would his wife feel? They were a close and caring neighborhood that looked out for each other. Though I enjoyed the story I was left with a question of why the monster kept some humans alive and why others were killed quickly. Their animalistic instincts and traits were those of hunters. I also wondered why at this particular time during the snow storm did they choose to come out and hunt. Either way, the monster were scary to me with their human like characteristics and features and how they moved about the city. I enjoyed the author’s writing style so much that I will look to see what other books he has published. The writing was clear, descriptive and easy to picture the characters and the scenes. The strong characters made the storyline that much more interesting and there is always something different happening that had me at the edge of my seat. This is a highly recommended read for those that enjoy a well written suspense that has lively characters, and a great plot.